We are a family owned and operated garage door repair and installation business based in Aurora, CO. We love our customers in the Denver area and enjoy providing our neighbors with friendly and reliable service they know they can trust. Our office is open everyday from 7am to 10pm, but we’re available 24/7 for emergency service. Why Choose Elite Garage Doors? At Elite Garage Doors, we want all of our customers to feel completely comfortable and confident in our work. That’s why we back it with a two year warranty on all parts and labor. Whether for installation, repair, or maintenance, choosing us is a long term investment in the overall health of your garage door system. We do it right the first time, thoroughly inspecting every component of the garage door mechanism with each service to ensure overall longevity. Call us today at 720-408-5050 to schedule an appointment! It’s a real pain when your garage door breaks unexpectedly. You may need immediate repair. That’s why we’re available twenty four hours, seven days a week, to answer your call. 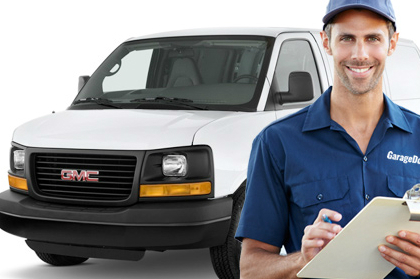 We’re one of the few garage door repair companies that offers same day service because we value you our customers’ loyalty, and want to be there for them when they need us. The Best Garage Door Technicians in the Denver Area!